Vic Cohen was a faithful writer on The Howie Mandel Show, but had the presence of someone who was weak. Mandel (who is naturally attracted to peculiar, desperate people) wanted to learn more about him, and decided to keep a camera rolling on the pair; documenting their collaborations as well as Cohen’s growth as a confident performer. By capturing twelve years of footage, Committed goes “full Linklater” and arguably shows more change than Boyhood did. Mandel, Reed Grinsell, and Steve Sunshine all make their directorial debut with Committed, a hilarious, special documentary. The film is bound to have audiences enlightened by having seen how attitude can be re-modelled into schtick. It’s an ideal film for those wanting to learn how to embrace flaws. Mandel is also an essential component to Committed when he’s in front of the camera. The comic acts as a voice of reason during private talks with Vic. 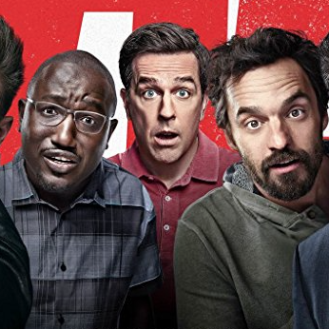 In a fascinating one-on-one after a scantily-clad harmless Cohen is confronted by authority in a hotel lobby, Howie and Vic address comedic public stripteases and deconstruct why Vic finds them interesting. The conversation not only lets us in on Vic’s outrageous sense of humour, but also his insecurities when he uses the gag as a fallback punchline. Grant Hadwin was the best darn forest engineer anybody saw, until he went off the rails and – in the name of not cutting down trees – cut down the only tree he shouldn’t have. 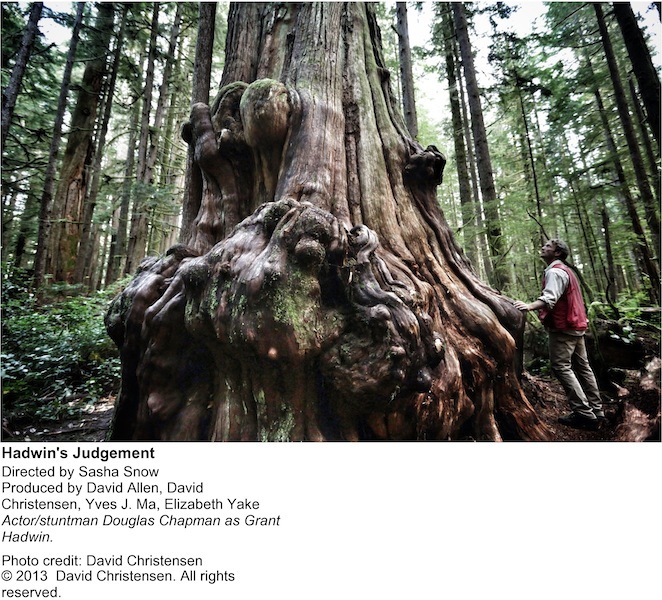 Hadwin’s Judgement tells the story of a man who so strongly morally objects to his own part in the industrial clear cutting of British Columbia’s forests that it strains his sanity. While breathtaking to watch (credit going to British Columbia’s natural beauty, allowing for glorious sweeping vistas), there is no thesis to the film; a viewer going in knowing little about Hadwin would have to wait 20 minutes before cluing in to what Hadwin’s Judgement is about. In a failure to be unbiased, the documentary takes several different biases throughout, depicting Hadwin as a likeable woodsman with a just cause to a mix between the Unibomber and Jack Torrance. Hadwin’s Judgement takes a unique and interesting story and hams it up through an indecisive use of docudrama and a heavy reliance on long and boring, albeit beautiful, shots of BC’s landscape – as gorgeous as it is, there’s a point where it stops contributing to story and becomes obvious filler for a film that is already 20 minutes past the “get to it” stage.